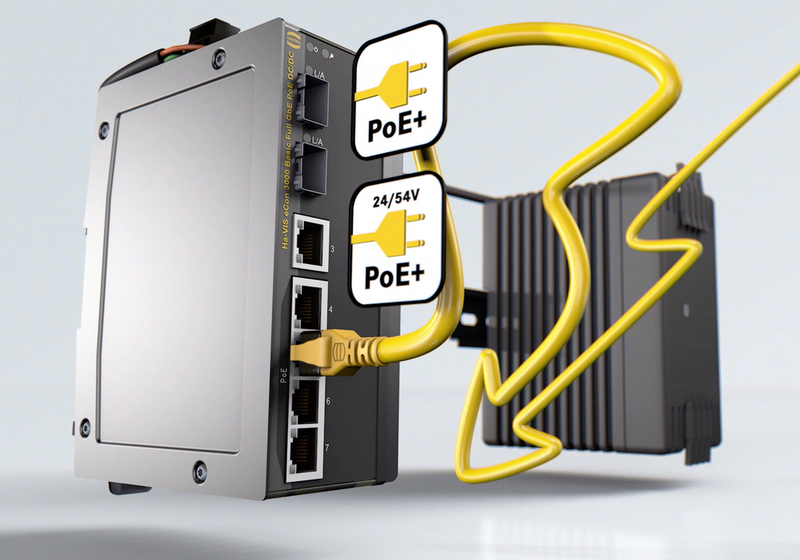 Harting has extended its Ha-VIS eCon range of industrial Ethernet Switches by incorporating high-performance Power over Ethernet Plus (PoE+) for the supply of power to industrial devices such as vision camera on production lines. The new devices offer a complete integrated solution for stable, high-bandwidth data communication and reliable power transfer in a single device, while reducing cabling effort and costs at the same time. With a data transfer rate of 1000 Mbit/s simultaneously on all ports and with the support of PoE+, the Ha-VIS eCon series enables the efficient and future-proof design of equipment, systems and plants. Over and beyond the PoE/PoE+ standard, Harting is also offering the new switches with an integrated DC/DC voltage converter. In this case the switches can be supplied with 24 V instead of the 48/54 V usually required. This provides users with more flexibility in the connection of end devices and the expansion of the network, saves on components such as power supplies, and reduces assembly time and space. Thanks to their compact dimensions, the Ha-VIS eCon family of switches of will fit into any user application. The eCon 2000 range of flat switches has up to 16 Fast Ethernet ports while the eCon 3000 slim design range has up to 10 Fast Ethernet ports to offer economical and industrial options to expand network infrastructures. Full Gigabit switches are available with up to 7 ports for applications with high data throughput. With over 200 switch models, users can select the combination of performance characteristics and port configuration that fits their particular requirements. Additionally, Harting stocks a complete range of mounting brackets for the eCon 3000 range that provide vibration- and shockproof installation.